Conflicting reports are emerging about the whereabouts and welfare of an Italian Jesuit priest who went missing almost one month ago. Reuters reported on July 29 that Fr. 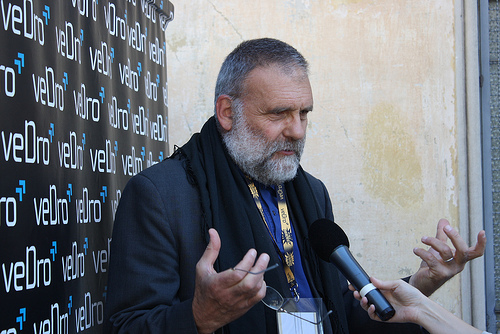 Paolo Dall’Oglio had been abducted by Islamists with links to Al-Qaeda in the northern Syrian city of Raqqa, but the Vatican would not confirm the news. Now, as various reports claim the priest has been killed, the Vatican remains tight-lipped. The Syrian Observatory for Human Rights reported last week that the priest had been killed, but retracted its statement on Monday, Aug. 19. The rights organisation said sources close to the Islamic State of Iraq and Al-Sham, or ISIS, which claimed it has kidnaped Dall’Oglio, said he was still alive. ISIS has yet to make a statement. “No side refuting the report that Father Paolo was killed has shown any evidence to prove that he is alive, despite their empty assurances,” said a statement released by the Syrian Observatory for Human Rights. The group called for “solid evidence” to be given, such as a recent video proving that he is alive, and a statement from a “clear and honest” member of the Syrian opposition. “Any harm inflicted on Father Paolo is harm inflicted on the Syrian revolution and on the Syrian peoples’ freedoms and dignity,” SOHR said. A Jesuit spokesperson earlier this month expressed “deep worry” about the fate of Dall’Oglio. Italian Foreign Minister Emma Bonino said: “We are still groping in the dark”. Dall’Oglio worked in Syria for more than 30 years, and described his work as “promoting Islamic-Christian harmony-building”. He was expelled last year after speaking out against President Bashar al-Assad and helping victims of the civil war. Since then, he has been working predominantly in Europe. On July 22, he posted an online petition asking Pope Francis to advocate on behalf of suffering Syrians. However, his stance has been controversial for many Syrian Christian leaders. Nadim Nassar, the only Syrian Anglican priest, told World Watch Monitor: “Any attempt to politicise the voice of Christians in Syria is wrong, and devastating for them, because it weakens them”. Meanwhile, there is nothing new to report about the two Syrian bishops – Yohanna Ibrahim and Boulos Yazigi – kidnapped four months ago. Metropolitan Timotheus Matta Fadil Alkhouri, patriarchal Assistant for the Syrian Orthodox Patriarchate of Antioch, urged members of the press and politicians to refrain from speculation.